Dr. Todd Wilson is an author, speaker, theologian, and the Co-Founder of the Center for Pastor Theologians. He is a graduate of Wheaton College and completed his PhD in New Testament Studies at Cambridge University. He is the author or editor of over a dozen books related to Christian ministry, theology, and biblical studies. Todd has over 15 years of pastoral ministry and currently serves as the President of the Center for Pastor Theologians. Originally from Indianapolis, Todd married his high school sweetheart, Katie, in 1997. Todd and Katie live in west Chicagoland where they have raised their seven children, three biological and four adopted from Ethiopia. Todd enjoys reading on just about any topic. He is also a fan of Lionel Messi and FC Barcelona. Discover in Titus, that often-overlooked book of the Bible, a call to be zealous for good works—the kind of good works that are like a bright light shining in the darkness. Zealous for Good Works is an exposition of Titus with a particular focus on mobilizing the church towards acting in kindness and goodness toward her neighbors. This book is for anyone who’s ever wanted to make a difference in the world, and see their church do the same, but wondered how to make it happen. Zealous for Good Works offers you field-tested, scripturally-based, practical answers that you and your church leaders will get excited about putting into practice. 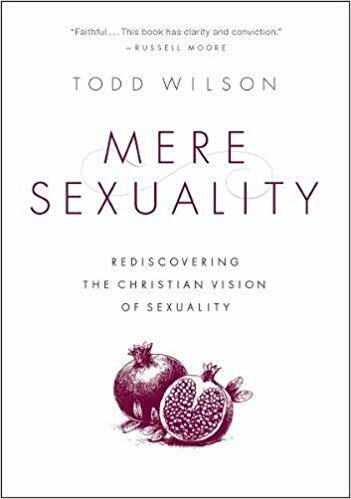 In Mere Sexuality, author and pastor Todd Wilson presents the historic Christian consensus about human sexuality, the Great Tradition of the church for centuries as taught in each of its major expressions - Orthodox, Catholic, and Protestant. Wilson highlights the stunning shift of opinion on issues of sexuality in the evangelical church and why this break with the historic church is problematic for the future of Christianity. Along the way he provides ordinary believers with an introduction to the historic Christian vision of sexuality, yet does so in conversation with some of the twenty-first century's leading challenges to this vision. In a culture that is deeply confused about human sexuality, Wilson believes it is time for evangelicals to retrieve the historic Christian tradition and biblical teaching on the question of sexuality. Mere Sexuality seeks to guide readers back to the beauty and coherence of this vision of sexuality in the face of an aggressive and all-consuming pagan and secular worldview. Pastoral ministry today is often ruled by an emphasis on short-sighted goals, pragmatic results, and shallow thinking. Unfortunately, those in the academy tend to have the opposite problem, failing to connect theological study to the pressing issues facing the church today. Contemporary evangelicalism has lost sight of the inherent connection between pastoral leadership and theology. This results in theologically anemic churches, and ecclesial anemic theologies. Todd Wilson and Gerald Hiestand contend that among a younger generation of evangelical pastors and theologians, there is a growing appreciation for the native connection between theology and pastoral ministry. At the heart of this recovery of a theological vision for ministry is the re-emergence of the role of the "pastor theologian." Raising the banner for the pastor as theologian, this book invites the emerging generation of theologians and pastors to reimagine the pastoral vocation along theological lines, and to identify with one of the above models of the pastor theologian. The evangelical church is home to many who claim to follow Christ but who show little evidence of a truly transformed life. 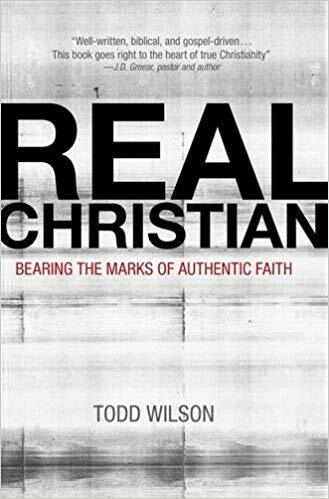 Todd Wilson's Real Christian: Bearing the Marks of Authentic Faith biblically defines what it means to be a true Christian, calling readers to look at their own lives and diagnose where they aren’t living authentically for God. With a prophetic voice, Wilson looks at how we deceive ourselves into thinking we are really living for God through believing the right things or doing lots of spiritual activities. In contrast, real Christians are marked by five key qualities: broken-hearted joy, a humble disposition, a readiness to acknowledge sin, an ability to live balanced and avoid legalism, and a deep spiritual hunger that drives growth. All of these qualities culminate in the single defining mark of a real Christian—love. To help in distinguishing genuine faith from counterfeit spirituality, Wilson draws upon the gospels, the writings of Paul, and the insights of theologian Jonathan Edwards to help readers understand the necessary marks of an authentic, transformed life, marks that show evidence of a new heart and bear spiritual fruit through the work of the Holy Spirit. The Pastor Theologian – Pastor theologian: a contradiction in terms or a vital union? The Center for Pastor Theologians has been at the forefront of a church movement to reclaim the centrality of theology in the pastoral vocation. Preaching – How should pastors and Christian leaders conceive of the ministry of preaching? How can pastors use their pulpit to God’s glory to lead not only their congregations, but also their communities? Sexuality – How can Christians articulate traditional beliefs on human sexuality in a compelling and winsome way? Discover the beautiful theological narrative of Mere Sexuality, the historic Christian teaching on human sexuality and identity. Creation and Evolution – How should Christians view the findings of modern science in light of the historic doctrine of creation? Todd is currently writing a book with Zondervan on this very topic with specific reference to how pastors can wisely, winsomely, and biblically lead their congregations on issues of evolution and creation. Mobilizing Your Church for Community Outreach – What is the New Testament vision for community formation and Christian outreach? What is the calling for Christians as individuals and as churches to reach out and share love in the world? The Marks of Genuine Faith – What distinguishes an authentic faith from an ingenuine one? Hear a modern distillation of many of the central themes from Jonathan Edwards’s classic Religious Affections. The Enneagram – A passing fad or a valuable tool for growing in spiritual maturity? Todd is currently writing a book on the intersection between Christian faith and this personality profiling tool with InvterVarsity Press. Hear some of his newest insights on how the Enneagram can help us unlock the power to grow into Christ-likeness by the power of the Spirit. Suffering and Christian Ministry – What role does suffering play in the personal life of ministers and leaders in Christ’s church? How does God use controversy, difficult circumstances, sickness, and relational turmoil to make us more like his Son and more effective ministers on his behalf? The Integrated Pastor – Discover why pastors, church staff, and ministry leaders so often struggle to maintain emotional health and psychological wholeness. How can some Christians simultaneously be so godly and successful in their ministry while also experiencing and acting out in deep and compulsive patterns of brokenness? If you are interested in having Todd speak to your audience about one these topics or a different topic of your own choosing, please fill out the form below.